This project has allowed over 70 students from Cloiste Gleann Li, Mean Scoil Nua Leigh Truigh, and Mercy Secondary School Mounthawk to embark on a journey of exploration .Each school has examined different aspects of the Portal Tomb in Killaclohane through creative writing, artwork and film making with the help of wonderful facilitators Lone O’ Reilly, Roisin McGuigan, Máire Holmes, Alan Cantwell and Justin Flynn. 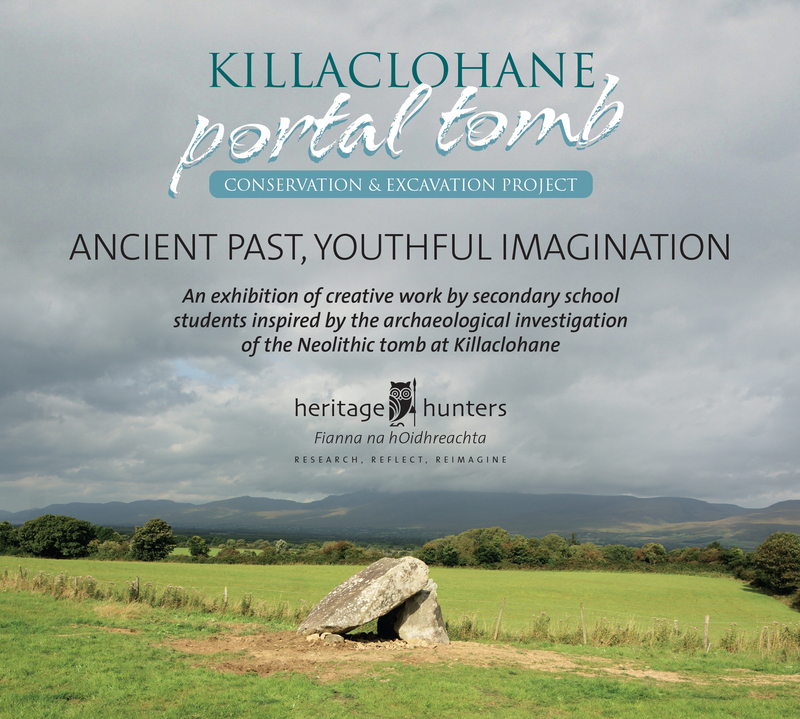 The exhibition ‘Killaclohane Portal Tomb- Ancient Past, Youthful Imagination’ will open on Tuesday 23rd of May in Kerry County Museum at 11am. For further information about the Killacllohane Portal tomb please visit the museums website.